Telepresence robots are now a reality, you can wheel around the office and talk to people, join a meeting, see stuff and bump into your colleagues. But imagine if telepresence were applied to deep sea exploration. Today we can become oceanographers through the telepresence system created by Bob Ballard (known for locating the Titanic, discovered deep sea geothermal vents, and more) and his team at the Inner Space Center. Put on your Submariner wristwatch because its time for all of us to explore the ocean depths via the comfort of our home or office. Bob Ballard and his team have created a deep sea telepresence exploration system. This system consists of the Exploration Vehicle (E/V) Nautilus operating as the ‘mother ship’ and the Hercules ROV. Nautilus is a surface vessel that sails out to the area of interest and performs all preliminary mapping with onboard sensors. She carries all necessary equipment and personnel. Sensors include a bottom profiler, multi-beam sonar, and other sensors mapping water temperature and various properties. The E/V will scan the bottom to get a coarse map to guide the exploration. Nautilus also caries satellite communication links allowing her to stream real-time data to the Inner Space Center at the University of Rhode Island. From here, video and communication feeds from the mission are re-broadcast in real-time to research institutions. This is the same feed that is received by the Inner Space Center. Not only that, this feed is also re-broadcast on the web so that anyone can tune in to the action. In other words, you too can become a deep sea explorer from the comfort of your office or home. Nautilus is unable to acquire optical or high resolution sonar imagery of targets in deep water by herself. She must deploy remotely Operated Vehicles to capture the high-resolution imagery. Argus, the ROV that services Hercules. To do this, E/V Nautilus lowers two different ROVs into the water. The first one, Argus, is the service ROV who’s job it is to manage the tension on the lead cable from Nautilus and generally tend to the instrumentation ROV called Hercules. In other words, Argus is tethered to Nautilus by a heavy steel cable that also caries data and electrical power. Ship motion from Nautilus can be directly transmitted to Argus via the cable. Argus’s primary job is to provide slack on a lighter-weight tether for the second ROV Hercules can carry out its high precision mission. Argus also contains a lighting system to illuminate the area that Hercules operates and some additional camera equipment to monitor the mission. Hercules is tethered to Argus via a lightweight cable containing electrical power, fiber data link, and additional control lines. Hercules is a high stability platform containing high res cameras, powerful lamps, a complex set of maneuvering thrusters, guidance, robotic arms, additional sensors such as imaging SONAR or mission specific sensors requested by scientists. It even has robot arms to grab things and collect samples. Most of the incredible imagery acquired by this system was captured by Hercules. Bob and his team direct the Nautilus crew from the University of Rhode Island. Nautilus controls Hercules and Argus from the surface. Data is sent up the tether to Argus, from Argus to Nautilus and then from Nautilus via satellite, through the internet, to URI. With servers setup at URI, the mission can be controlled from anywhere in the world. And it can be viewed from anywhere in the world by anyone interested. You can go through the video list posted above to relive what was seen last year. But it’s more fun to see things as they happen. 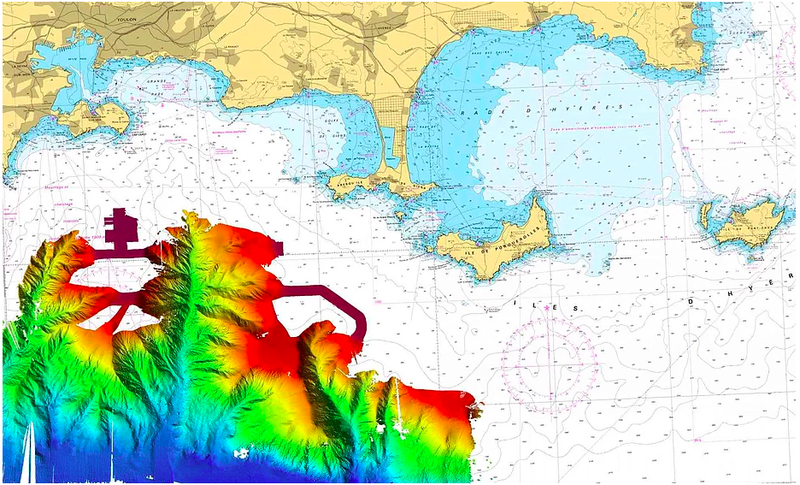 The 2017 schedule has been posted and we’re currently exploring the Channel Islands Marine Sanctuary followed by Central California’s coastline next week and on from there. Many of us remember that cover of National Geographic where the shipwreck of the Titanic was found. We’ve paged through coffee table books with images of the battleships resting on Iron Bottom Sound. We’ve marveled at how life could possibly exist and even thrive around deep sea geothermal vents. With the Nautilus Live you can join the fun from the comfort of your home, and experience for yourself what the scientists are seeing in real-time. While telepresence robots are a thing, the last one I tried was not a good thing yet. It went back into its box after one usage and immediately got written off. Most of it wasn’t a bad idea, it used a tablet as the face and camera with the tablet using bluetooth to control the robot. The bad part was having to use one specific video conferencing program to control it that only ran on smartphones (including the remote end, why?) and was intolerant of network problems (which you just introduced by basically not allowing ethernet with the smartphone move, why?). Eventually we gave up and just used a web camera with a wide angle combined with a laptop and some regular video conferencing software that could cope with ADSL2+ on the remote end. If anyone’s found one that works I’d be interested to know about it, otherwise I’ll just pick up a better webcam with optical zoom plus pan and tilt. I built one so friends that dispersed after college could attend a yearly party, while there have been several iterations, most relied on a program called roborealm to handle the driving interface through a servo controller and skype to do the lowest latency widest available communication interface. I always had trouble getting it through the firewall when going places with it and always thought using a cell phone as my internet connection would solve that. I’ve never been able to figure out how to run a server on a cell connection though. Video latency is always a problem and making it easy enough to connect to so friends can just jump on is rough. And depending on the friends and the type of party they are having, you don’t want them forcing beer down the throat of your “telepresence”. Logitech C920. It’s cheap, has a 78 degree field of vision and is the default Webcam recommendation partially because of good Linux support. As for what we replace it with, probably something higher up in logitech’s range. They go up to about £600 with pan tilt and optical zoom. Sorry to sound like a marketing person but I don’t know of a better option. I imagine the satellite latency must hurt a little? So Argus provides the muscle to lift the cables and Hercules provides the system’s eyes? The mythology sounds a little backwards there. When everyone attends meetings via TP robots the hot new thing will be attending meetings live, in person.